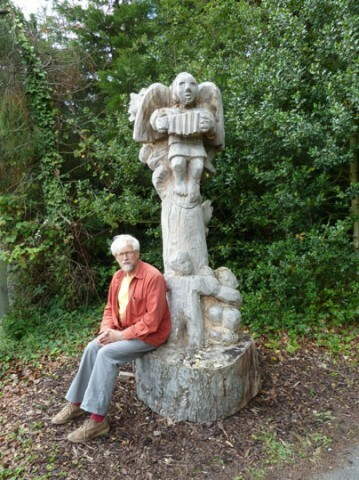 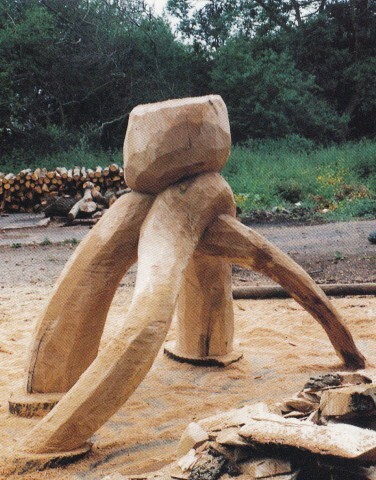 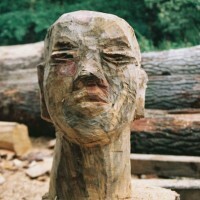 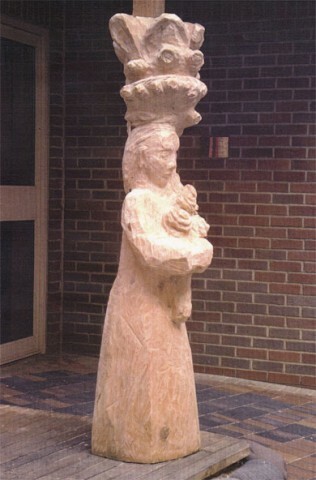 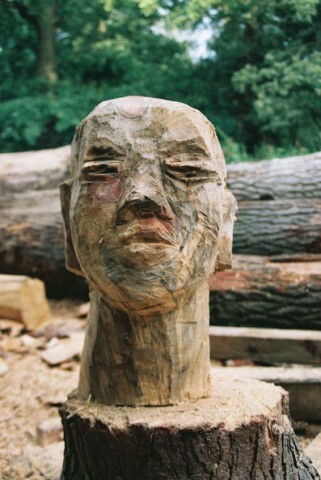 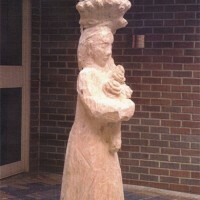 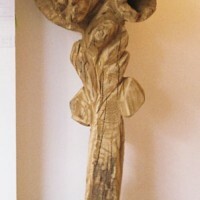 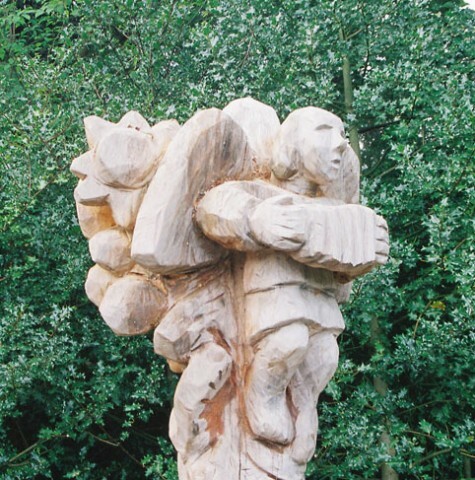 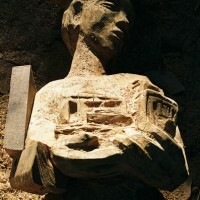 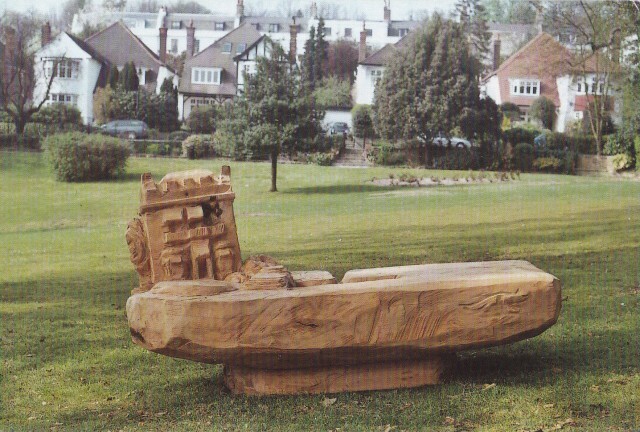 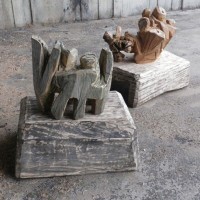 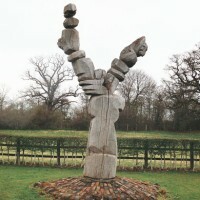 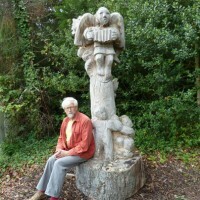 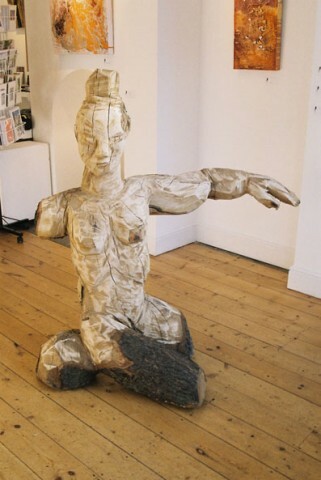 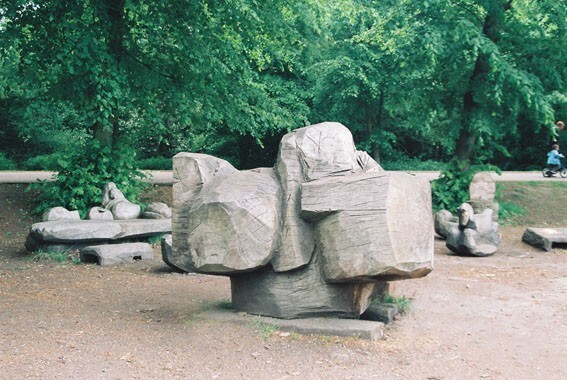 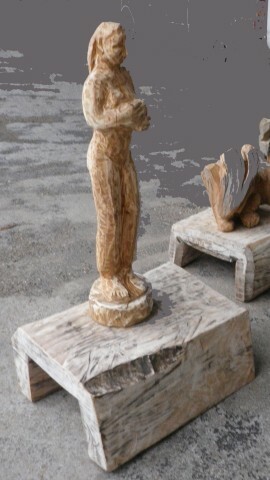 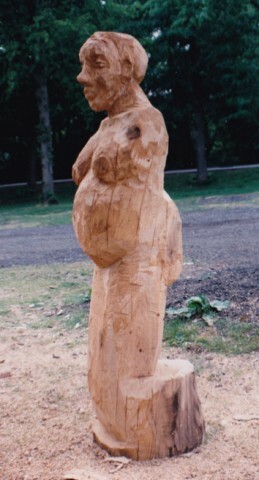 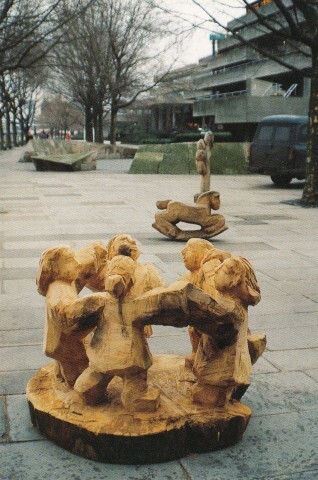 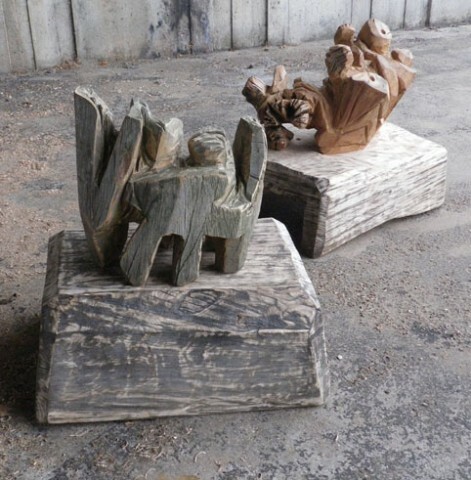 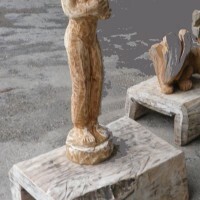 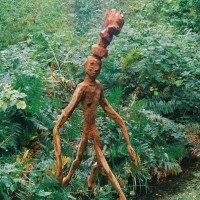 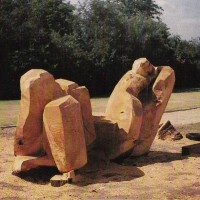 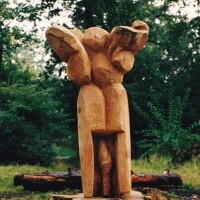 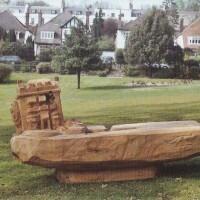 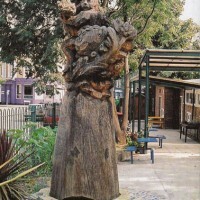 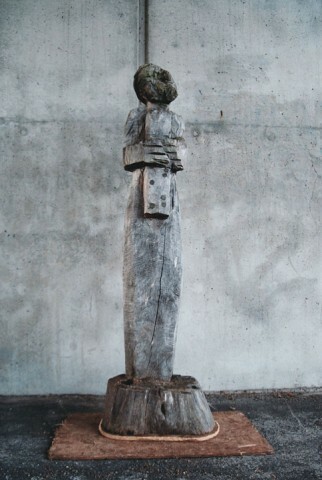 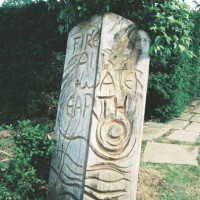 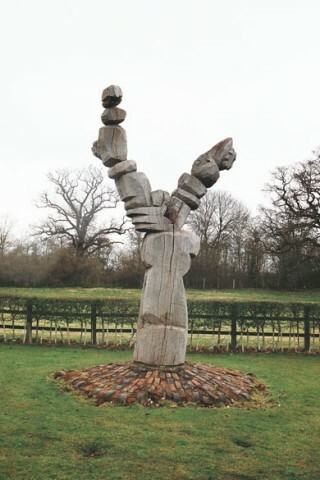 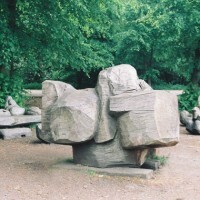 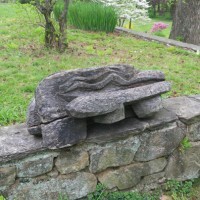 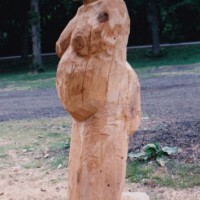 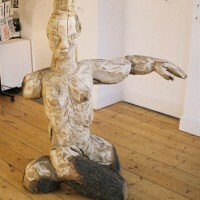 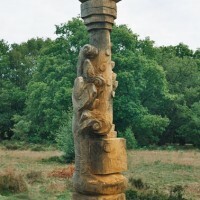 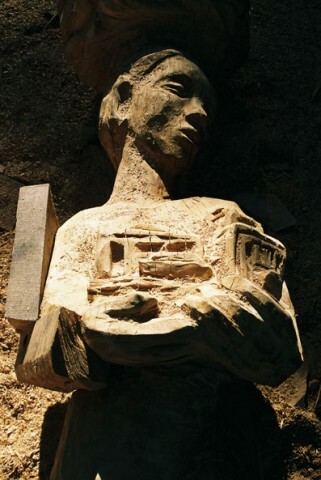 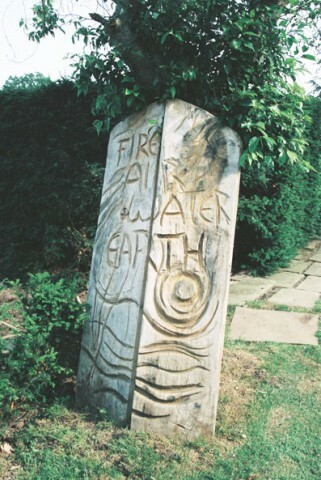 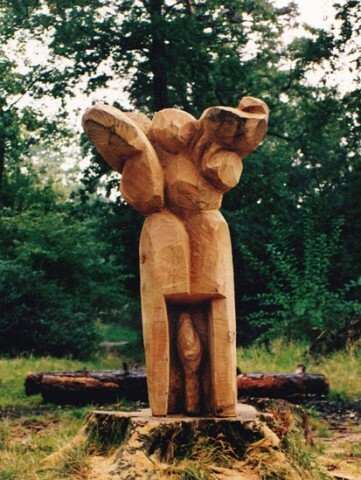 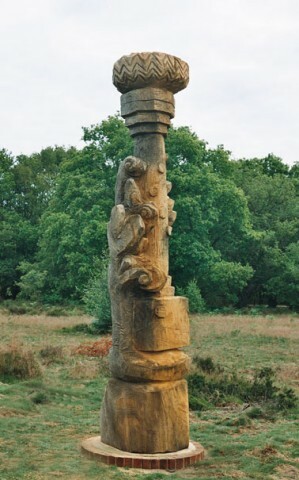 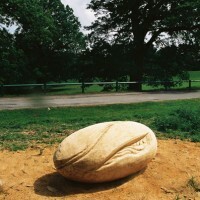 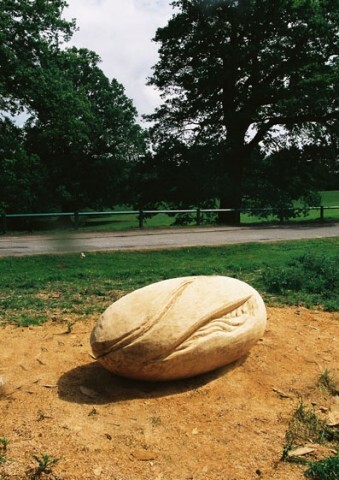 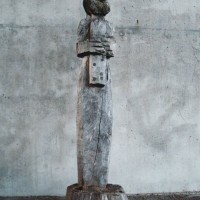 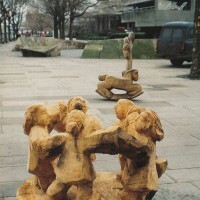 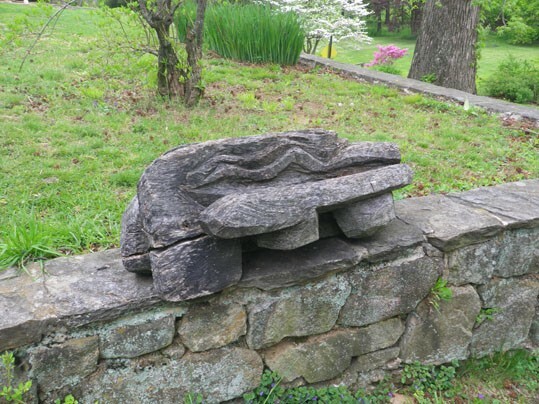 This page shows a selection of sculpture work going back some 25 years. 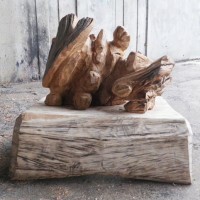 My pieces play with shapes and volumes which are related to the strengths and beauty of the trees from which the wood is taken. 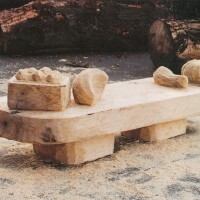 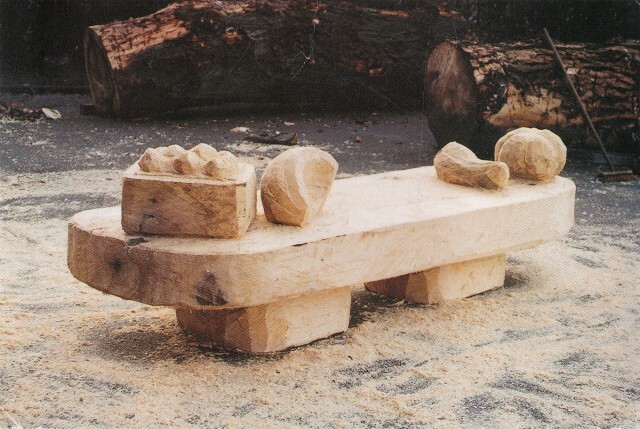 Cutting into wood means shaping solidified time. 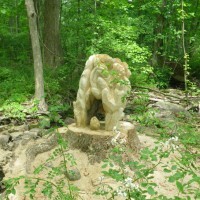 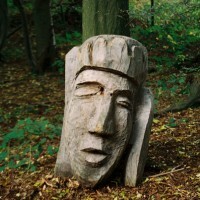 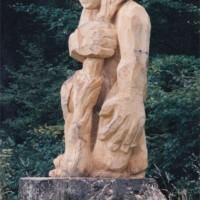 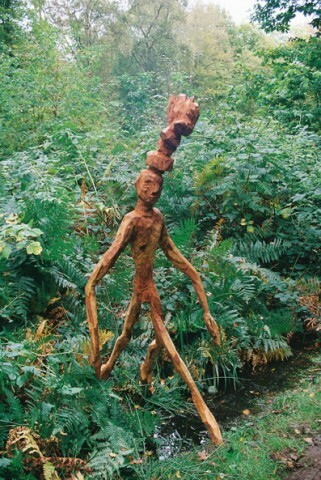 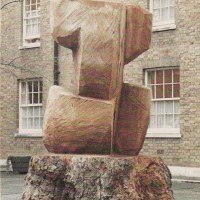 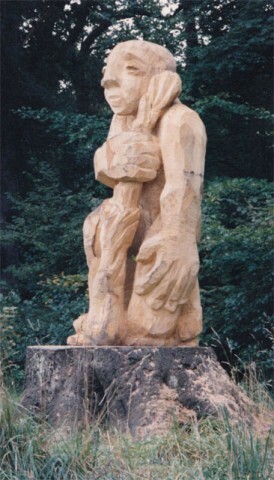 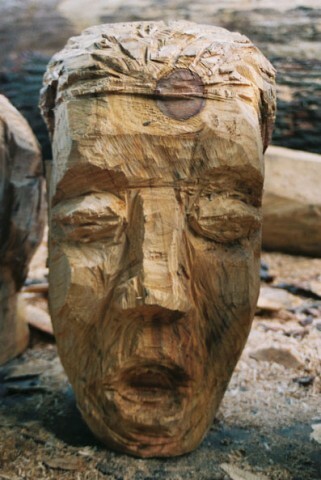 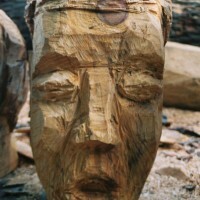 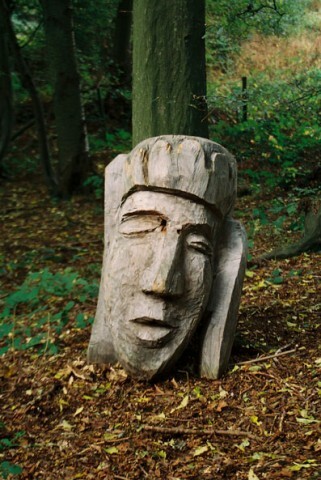 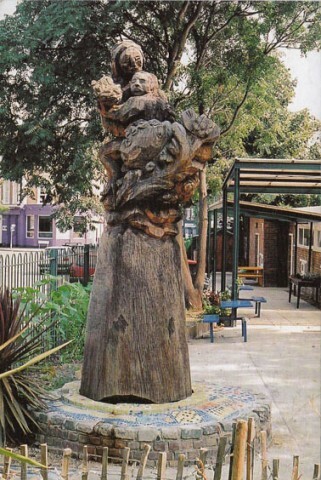 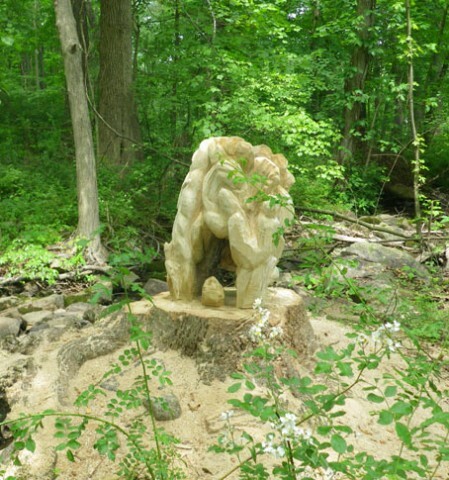 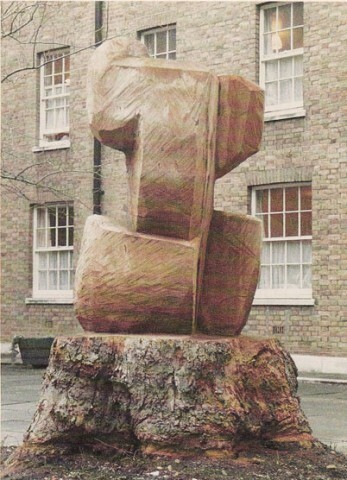 We chainsaw sculptors owe a lot of respect to the trees which grew over many years. 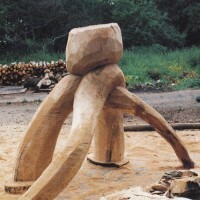 With this in mind I try to make worth while shapes and objects.